We really weren’t too sure what conditions we’d wake up to this morning. While this summer has been hot and sunny, up in the mountains this has often culminated in some spectacular thunderstorms. Yesterday evening we’d experienced thunder and lightning during dinner and the weather remained unsettled when we retired for the night. It was blue skies this morning though and it looked like we were set for another beautiful day so worry over. Good news because we were going to ride a 175 mile loop on a route plotted by Kyle based on some cycling he’d done in this area back in 2013. 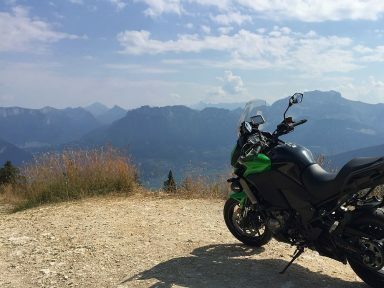 We anticipated the ride would take around 7 hours, and in that time would take us south down the western side of Lake Annecy, into the mountains of Semnoz and Revard, before returning via Albertville, the ski resort of Les Saisies, and finally a bit of a dog-leg up to Cluses so we could ride the Colombiere – a first for all of us. First thing first though and Taj needed fuel asap. 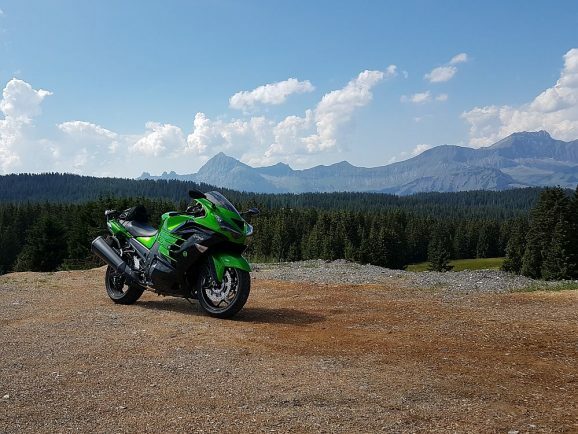 Looking back to our early tours when many of us were riding sports bikes we’d begin our search for a petrol station after 100 miles, getting anxious by 130. Now Taj’s ZZR could comfortably cover 200 miles, Kyle’s Versys 250, the Phil’s GSA 300+ miles. 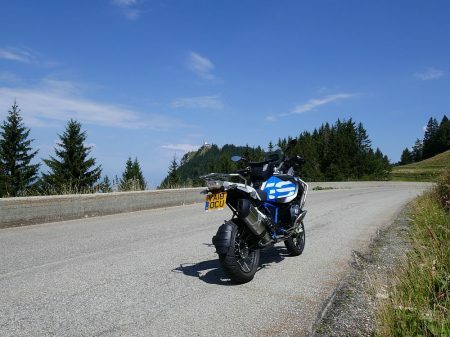 The thing is, we now regularly ride up to 100 miles a day more than we did back then so we still seem to be on the same desperate hunt for fuel. Leaving Le Grand-Bornand we turned right and headed down the valley towards Les Villards-sur-Thones where we knew there was a fuel, albeit with lengthy queues as the automatic card service at the pump was out of order. 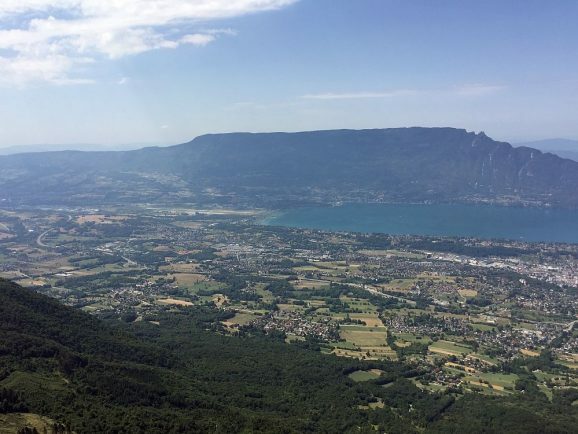 From there it was a straightforward run into Annecy, about 20 miles in all. Approaching Annecy the traffic started to build, until we hit the the lakeside and the old town, where it was gridlocked. Annecy is known as the Venice of the Alps because of its cobbled streets, canals, and pastel-coloured buildings. As a result it’s almost always busy and best avoided if you don’t intend stopping off there. 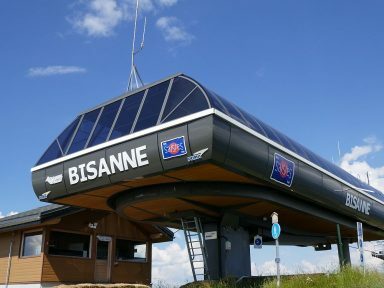 For us it was a necessity though because it provided our access point to Mont Semnoz. The climb starts pretty much from the centre of town and we soon picked up the D41 and Route des Semnoz. 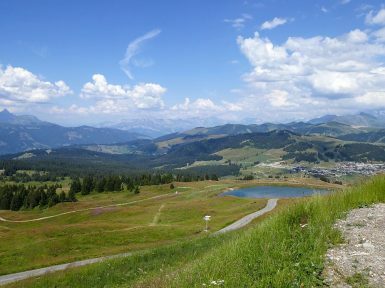 The run up Semnoz – or Cret de Chatillon as it’s sometimes known, was 11 miles and we climbed 1,200 meters in this time which tells you there are some steep sections in there. We were in the trees for most of the way up and apart from a series of hairpins at the start, it was a straight run up to the top. Traffic wasn’t too heavy but there were a lot of cyclists so we kept our speed down and enjoyed the ride. 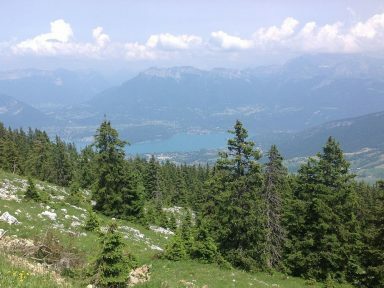 About a mile before we reached the top the view down to Annecy and its lake began to open up and it was quite stunning. This is the place to stop and take photos because when you get to the hotel just before the summit there’s no real view to speak of. After a quick coffee stop and feeling sufficiently refreshed we travelled the short distance that remained until the ski area at the very top and began our descent down the other side. The run down had the potential to be good but unfortunately the road surface was appalling. Huge craters littered the road for most of the way although it did improve the closer we came to Leschaux. From there we turned right onto the D912 and then picked up the D911 Route des Bauges all the way to Cusy. This stretch was a nice run but that soon ended when we exited Cusy and turned left onto the D103 where Le Revard was signposted. It’s easy to miss the sign and initially we did. There must be easier ways to get to Mont Revard because the route Kyle took us on was more suited to enduro bikes than the ones we were riding. Eventually, after a lot of zigging and zagging, we came to a junction that offered a left turning and which enabled us to join the D913. 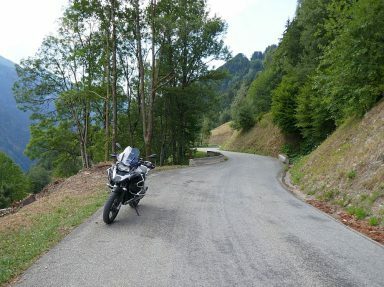 This road took us all the way to Le Revard and in many respects the run up was very similar to Semnoz, the main difference being there was far less traffic and hardly any cyclists. Not far from the top there’s a turn off to the right. Initially we rode straight past it and a short way down the other side until it dawned on us that we’d missed an opportunity. Making a u-turn we headed back, took the now left turning, and set off on the short ride up to Le Plateau du Revard. We’re glad we did too because we’d have kicked ourselves if we hadn’t. The view from up there was simply breathtaking. 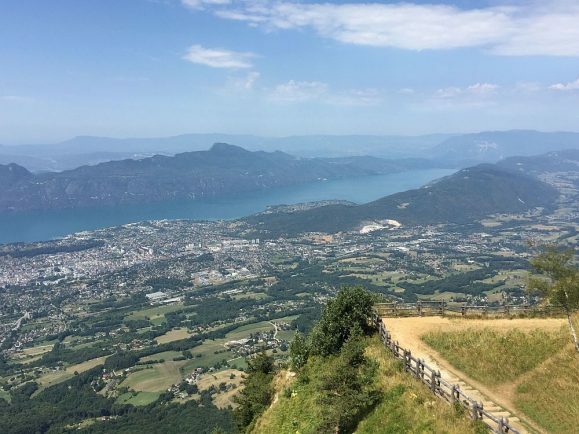 From the plateau you can see Chambery Airport on the left, at the southern end of the lake, and Aix-les-Bains on the right. 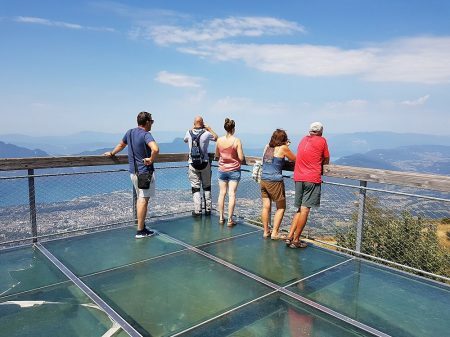 But what dominates the view is Lac du Bourget, the deepest, and depending upon the season, the largest natural lake in France. 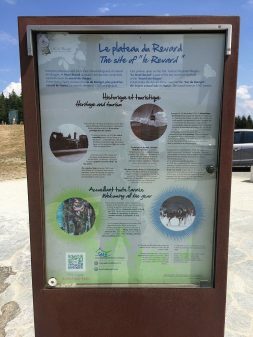 There’s quite a bit of tourist information about Le Revard up top, such as it being one of the first ski resorts in France – created at the beginning of 1900. The descent from Le Revard was a huge improvement on Le Semnoz and the next 25 miles was a really nice run on virtually traffic free roads. After passing through the ski resort of La Feclaz we turned right back onto the D912, and at Lescheraines briefly picked up the D59 and D206, then rejoined the D911 at Le Chatelard. From here we climbed up and over Col du Frene before finally dropping down to Saint-Pierre-d’Albigny. Reaching Saint-Pierre-d’Albigny though the inevitable happened again. Phil had been taking photos on the descent so Kyle and Taj waited dutifully. When Phil appeared though he sailed straight past not noticing their bikes parked up at the side of the road. An attempt to locate him ensued but to no avail, so, for the second time in as many days, Phil was riding on his own for the remainder of the day. This marked the half way point of the ride, both in terms of time and distance, and from here it was a short, but very slow, ride up the D201 into Albertville. 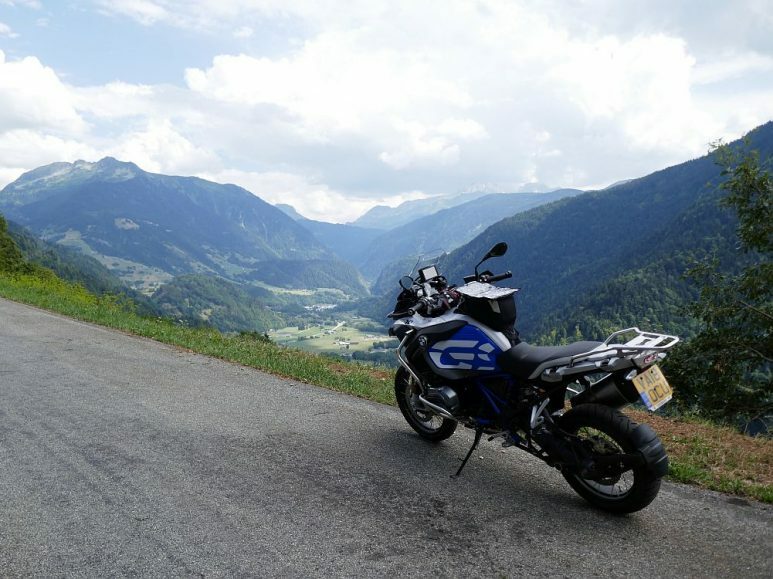 After a number of diversions that seemed to pepper the city, directing us around a maze of backstreets, we eventually found our way out and picked up the road we’d been looking for – the D925 heading towards Villard-sur-Doron. 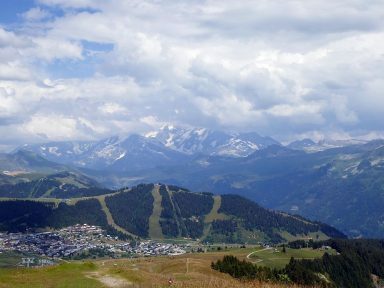 At Villard you have a couple of options if you want to ride the Col des Saisies. 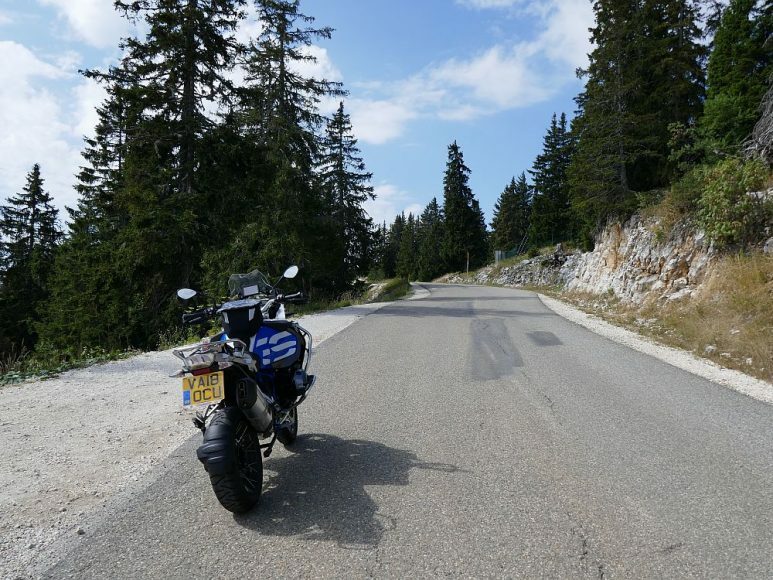 You can either turn left onto the D123 and ride up to Bisanne 1500, which is what Phil did. 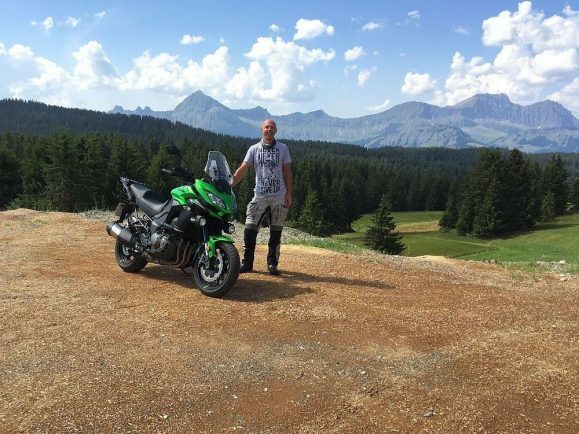 This is nice because the high point of this road is at 1,725m and offers a great view overlooking the ski resort of Les Saisies – Col des Saisies and Les Saisies are one and the same. Or you can continue a little further up the road and take the D2188 signposted Hauteluce, which is what Kyle and Taj did. 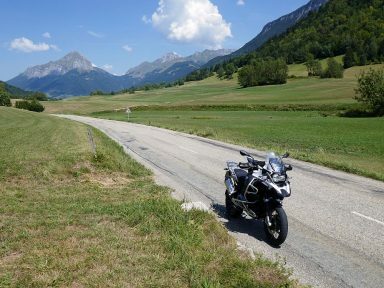 The road from Hauteluce is exactly the same route Phil had ridden over the Saisies yesterday after he’d left Bourg-Saint-Maurice. 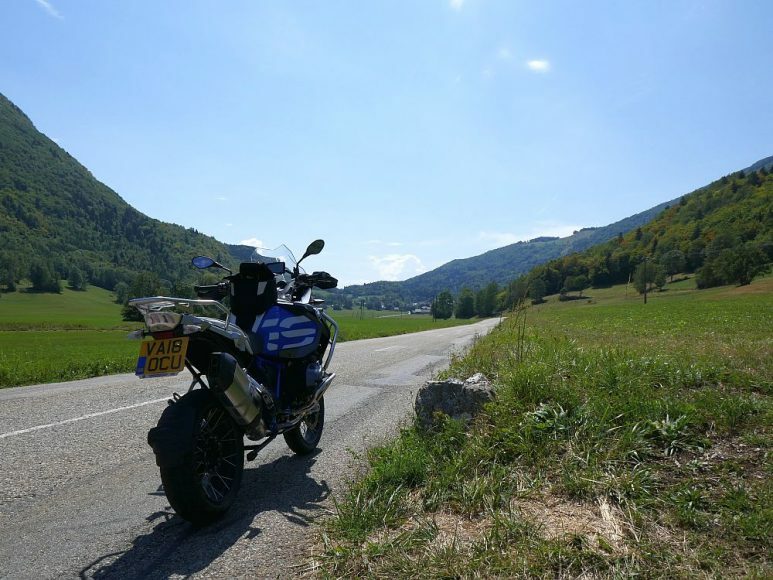 The difference being when Phil got to Flumet he took the D909 over the Col des Aravis to Le Grand-Bornand, whereas today we picked up the D1212 to Sallanches instead. This was our bail out point if we wanted to shorten the ride for any reason but we had plenty of time so we carried on. 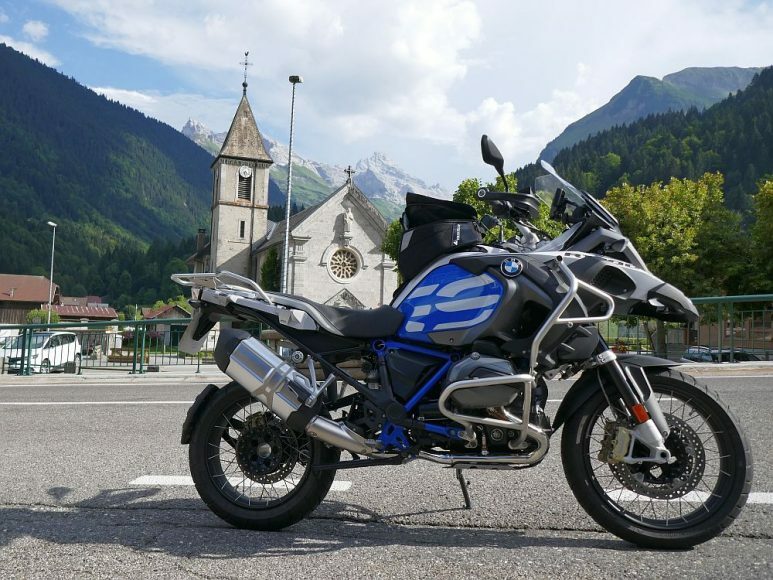 It’s only 13 miles from Flumet to Sallanches but it took the best part of 45 minutes to filter our way through all the towns and villages. They just kept coming one after another. Quite frankly at this point the heat was becoming unbearable and it was a relief when we finally reached the D1205. We liked this road but only because it was fast, which got some cool air circulating around us, and took us to Cluses, the starting point for our fourth and final pass of the day. 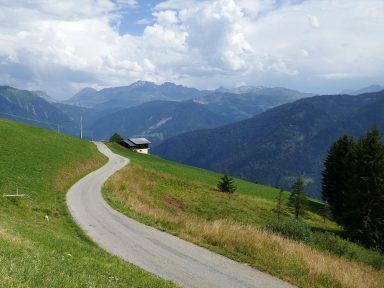 In fact the Col de la Colombiere climb doesn’t really start in Cluses, it starts in earnest at Scionzier, and there are two distinct sections to it – above and below the village of Le Reposoir, or the resting place. The first section is in the forest and climbs along the flank of a valley with the gradient gradually increasing bit by bit, before eventually levelling out a little on the intermediate plateau. From Reposoir the road gains height quickly by looping around before finally exiting the forest where the vista begins to open up. At this point the road follows the side of the valley, climbing steadily all the way up to the summit. 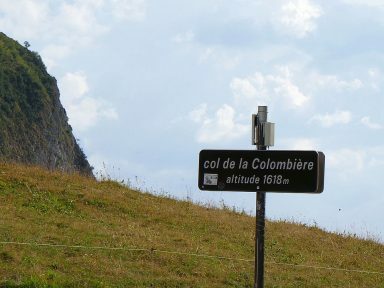 Only a few weeks previously the Tour de France had used the Colombiere for the stage 10 finish into Le Grand-Bornand. This was a result for us because it meant the road surface today was as good as it gets. The final 7 miles down the other side was as enjoyable as the ride up to the top had been. There were a couple of hairpins early on, then the road began to bend around as it descended into Chinaillon. A fairly long straight stretch followed which led to a final section of nice, wide, open switchbacks that dropped us into the centre Le Grand-Bornand, virtually at the front door of our hotel. 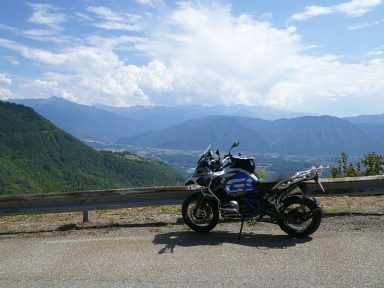 BBot are a bunch of mates who enjoy motorcycling and in 2006 decided to do some touring in mainland Europe. Back then there were 5 of us and in the ensuing years riders have come and gone – 10 in all to date. 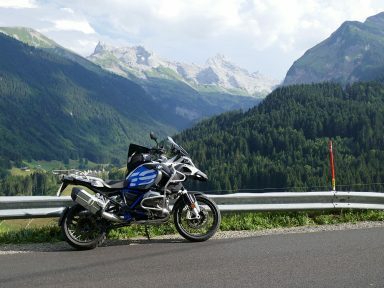 With the exception of 2017 there has been a tour every year since and during that time we’ve ridden through 12 different countries over hundreds of mountain passes and clocked up 30,000 miles. Purely for our own amusement and reflection this website is a travelogue of those tours.